Many have speculated it’s the video content that makes HQ such a standout when compared to the dozens of other trivia apps. But this begs the question, why is video content so compelling? How are apps evolving to use video in new ways? And are there drawbacks to using video in apps? The HQ trivia app uses live video footage of a game show host for each and every game session. This is just one example of how video has taken the app world by storm, and it’s now apparent that the future will include plenty of video footage, both live and pre-recorded. HQ’s app is particularly successful because the host can interact with users—a point that makes individuals more likely to participate. After all, the possibility of direct engagement can keep users coming back time and time again. A live host who appears over video also ups the overall excitement level, thus creating a better overall user experience. In fact, from a psychological perspective, people tend to be more likely to watch a show or use an app if they feel a strong sense of familiarity and even a friendly intimacy with it. For example, morning talk shows select hosts who are friendly and easy to relate to, which results in the viewer feeling as though they “know” the host on some level. There have been numerous instances where a show’s host was replaced and viewership dropped dramatically, proving that this sense of familiarity plays a key role in prompting the viewer to return day after day. This same concept can also apply to apps, as you have the same individual(s) engaging with users via video. In fact, it’s virtually impossible to forge this sort of pseudo intimacy without video. With this in mind, it’s evident why video has evolved into the wave of the future for in-app content and web-based content alike. Not everyone has time to watch video. If time is of the essence for your app’s users, then video may not be the best choice. For instance, if you’re developing a navigation and business directory app, then users may simply want to find a certain type of business and get directions—no video required. Or if you do implement video elements, it will be vital that you make it easy for users to skip or fast-forward so the feature isn’t perceived as an inconvenience. That’s a major problem. Of course, it’s possible—likely, even—that HQ performed comprehensive research into several hosts to find the individual with the greatest appeal amongst the most possible users. But it’s impossible to appeal to everyone, and this is a point you must consider. Would you have greater success by omitting video entirely? For most, video offers a major advantage, even if there are a small number of users who are ultimately alienated. At the end of the day, you cannot be all things to all people. Still, there are some instances where an app could be more successful without video, especially if you choose the wrong video (or the wrong on-air talent). Integrating video in apps—whether it’s live video or pre-recorded footage—requires an experienced developer with a keen understanding of how users will interact with the app’s user interface (UI). At SevenTablets, our developers specialize in emerging technology and the latest development strategies surrounding video content. This includes predictive analytics, artificial intelligence, machine learning, augmented reality, virtual reality and natural language processing. 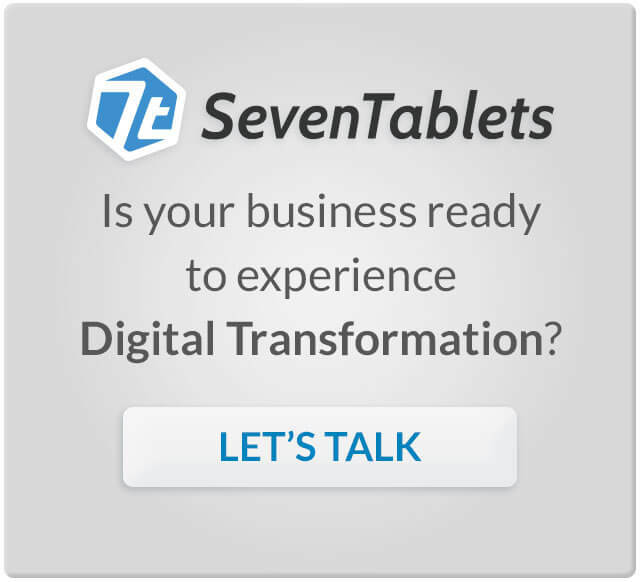 SevenTablets works with clients throughout Texas—including Dallas, Austin and Houston—and beyond. In fact, our clients are scattered across the United States. We invite you to contact our team today to discuss your company’s next development project.